In August 1998 the deadliest conflict since World War II would break out in the Democratic Republic of Congo. Over the next five years fighting would bring death and displacement to millions of people in Congo, with the violence continuing long after a peace agreement was signed in 2002 and a transitional government was formed in 2003 among the warring parties. One of the great political tragedies of Africa’s Great War is that it was a war fought between comrades—only fifteen months before the outbreak of the conflict the future belligerents fought side-by-side as comrades-in-arms to liberate Zaire from the ruinous kleptocratic rule of Mobutu Sese Seko. The overthrow of Mobutu was supposed to represent a triumph of Pan-Africanism as a coalition of liberation and neo-liberation forces from Congo, Rwanda, Uganda, Angola, Tanzania and even as far as Ethiopia and Eritrea came together to oust the ruler that many in the region saw as a destabilizing neo-colonial relic who supported anti-regime rebels in Uganda, Angola and Rwanda, including the remnants of the genocidal government in Rwanda that received sanctuary in eastern Zaire. To the protagonists, their military victory against Mobutu represented nothing short of a ‘second independence’ for Congo and Central Africa as a whole and the consolidation of a new regional order of peace and security. Within 15 months this new order was shattered by a cataclysmic, fratricidal war between the heroes of the liberation against Mobutu. What went wrong? 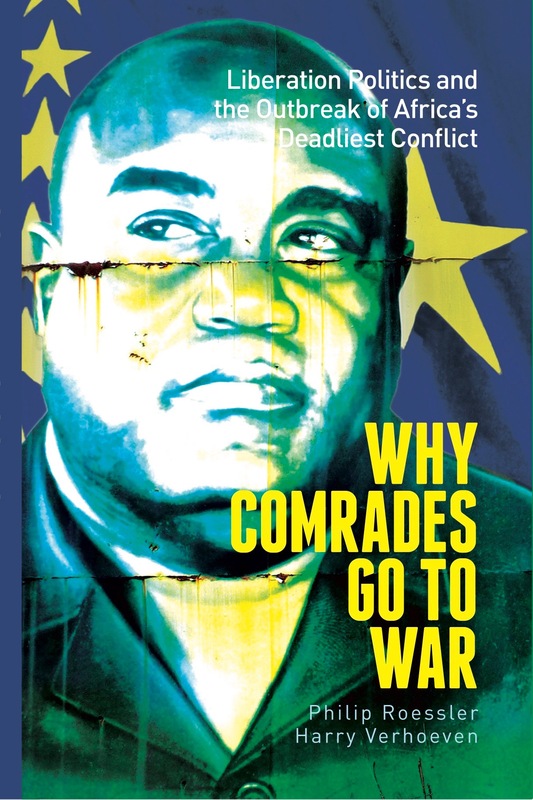 This is the question at the heart of the forthcoming book by myself and Harry Verhoeven of Georgetown University-SFSQ, Why Comrades Go To War: Liberation Politics and the Outbreak of Africa’s Deadliest Conflict (Hurst Publishers/Oxford University Press). Drawing on six years of research and hundreds of interviews with protagonists from DRC, Rwanda, Angola, Uganda, Tanzania and Eritrea as well as diplomats, officials and observers from Belgium, the United States, the United Kingdom, South Africa and France, Harry and I revisit the outbreak of Africa’s Great War with a focus on the high politics that accounts for the breakdown of the post-Mobutu order. Why Comrades Go To War argues that the seeds of Africa’s Great War were sown in the revolutionary struggle against Mobutu—the way the revolution came together, the way it was organized, and, paradoxically, the very way it succeeded. In particular, our book proposes that the liberators of Zaire sowed the seeds of its own destruction by ignoring the philosophy of Julius Nyerere, the father of Africa’s liberation movements: they put the gun before the unglamorous but essential task of building the domestic and regional political institutions and organizational structures necessary to consolidate peace after revolution. Consequently, the war against Mobutu was a Pyrrhic victory—it smashed the ancien régime but lacked strong institutions to manage the power vacuum produced by their military triumph. Thus uncertainty—over how power was to be shared and how the new configuration of power was to be enforced—dominated the political environment. This uncertainty was felt domestically—as rival factions within the new Congolese government jockeyed for power—but also regionally—as the neighboring states had a major stake in who controlled the new Congo and the degree to which the new regime protected their security interests. The nexus between the two political dimensions—the internal and external—was particularly acute because of the Rwandan Patriotic Front’s direct involvement in the post-Mobutu regime. The RPF’s privileged place in the post-Mobutu order would give Kigali the capability to quickly and decisively shift the distribution of power within the new Congolese regime, but also alter the regional balance of power. This possibility would haunt Laurent-Désiré Kabila—the man the RPF installed in power. But it also alarmed neighbouring countries, which feared the costs to their own relative capabilities, status and influence of the RPF’s strengthened regional position; this led Zimbabwe, Tanzania and Angola to balance against the RPF. Consequently, as Kabila and the RPF became locked into a security dilemma in which each side saw no way out except eliminating the other, regional states, especially Angola, became reluctantly dragged into the conflict, intervening at the very last minute to save the Kabila government from the jaws of defeat at the hands of the RPF. Research for Why Comrades Go To War was generously supported by the John Fell Fund at Oxford University, the Harry Frank Guggenheim Foundation, and summer research grants from the College of William and Mary. 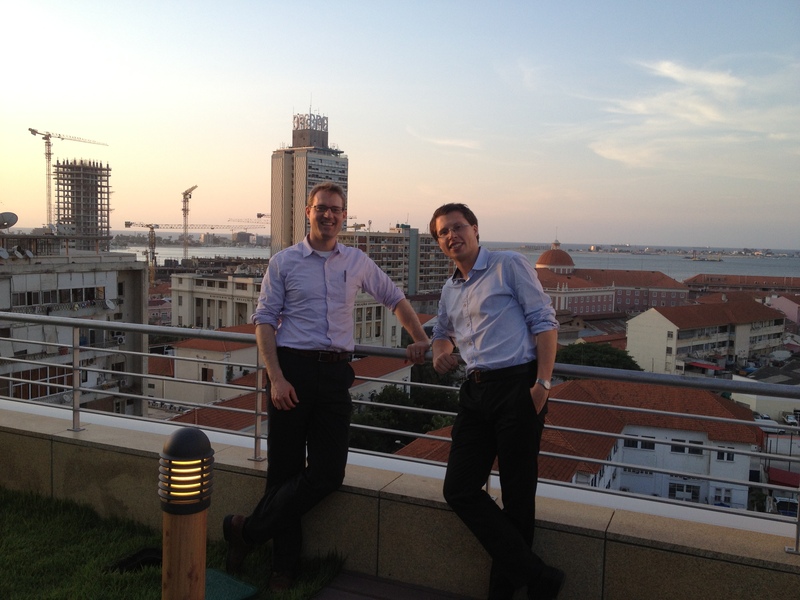 Harry and me in Luanda, Angola as part of our research for the book.